William Christie is at the core of one of the most exciting musical adventures of the last 30 years: a renewed appreciation of Baroque music in France and the founding of the world-renowned vocal and instrumental ensemble Les Arts Florissants. 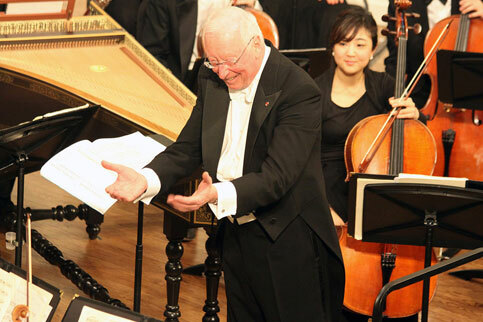 In great demand as a guest conductor (Metropolitan Opera, Opéra de Paris, Opéra Comique, Berlin Philharmonic, Aix-en Provence and Glyndebourne Festivals), his award-winning discography includes more than 100 recordings. Equally committed to the training of young artists, he founded Le Jardin des voix, an academy for young singers, and regularly gives Master Classes at the Julliard School and elsewhere. Honored as Commandeur dans l’Ordre de la Légion d’Honneur as well as Officier dans l’Ordre des Arts et des Lettres, he was elected to the Académie des Beaux-Arts and officially received under the dome of the Institut de France in January 2010.